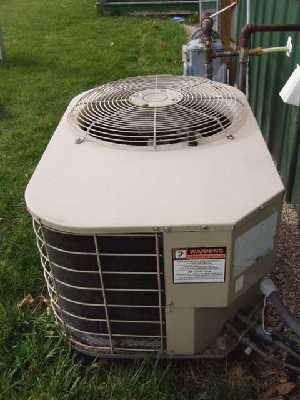 For the most part, the average homeowner IS NOT able to repair their own air conditioner unit. 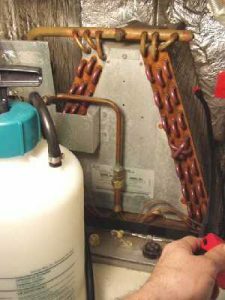 Many of the repairs will involve removing the freon and that requires special equipment and you must be licensed to handle the freon. 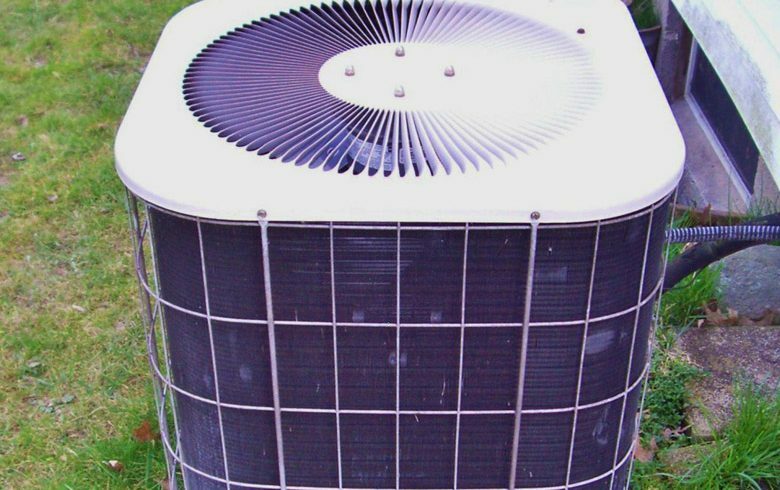 But a homeowner can clean their air conditioner by keep the condenser and evaporator coils clean which will help the unit run longer and more efficiently. 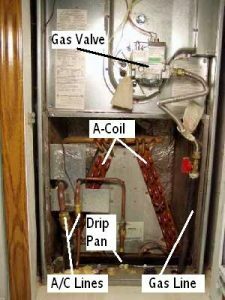 For the purposes, of this article, we are referring to a split system meaning that the condenser is located outside and the evaporator (A-coil) is located in the furnace. When cleaning the coils, use a foaming coil cleaner for the outside condenser, and a low-foaming cleaning for the inside a-coil. 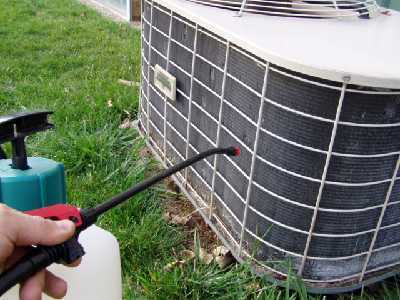 For the homeowner, purchasing a coil cleaner (available here) in an aerosol can is quite convenient and simple to use. Otherwise, a person could purchase coil cleaner in gallon jugs at a local HVAC or plumbing supply house. In this article, we will explain how to clean an air conditioner using both types of cleaners. Step 1 – Shut off power to the condenser and check to be sure it is off. Step 2 – Mix some high-foaming coil cleaner with water (per instructions) and pour into a sprayer and saturate the coils of the condenser. Spray the coils from the outside only. Step 3 – Let the coil cleaner soak for 10-15 minutes while you remove the top part of the condensing unit with the fan attached. On some units, you may have to remove the whole top. Cover with plastic bags anything electrical that may get wet. Step 4 – After 15 minutes, saturate the coils again from the outside. Step 5 – Let coil cleaner soak for 5 more minutes. 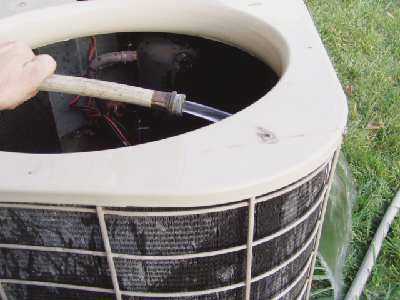 Step 6 – With a garden hose inside the condenser, spray the coils so the water spurts to the outside. Never spray the coils from the outside as the water may pack the gunk tighter into the coils rather than pushing it out. Step 7 – Repeat until your rinse water runs clear through the coils. 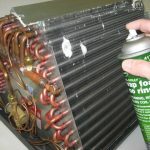 With aerosol sprays, how you clean the condenser coil depends upon the instructions on the can. Some cans are high-pressured, which means you lift off the fan and spray from the inside out. Foaming low-pressure aerosols should be sprayed on the outside of the coil. Keep in mind that if the protective case around the outside of the coil inhibits spraying the coil, then spray the coil from the inside. Many sprays require no rinsing, just spray and walk away. Personally, I would do the cleaning twice. The first time I would spray and let it evaporate without rinsing (following the instructions on the can.) Then I’d spray a second time, and rinse a few minutes later (see above for rinsing instructions). Aerosol spray cleaners are available HERE. Step 1 – Carefully remove the panel to expose the A-coil. Don’t damage any a/c or gas lines that may be nearby. Step 2 – Vacuum the dust from the coils (below). Stubborn dirt can be loosened with a toilet brush. The flat-style toilet bowl brush works best because it fits better along the bottom. Work carefully as the fins on the A-coil will bend easily. Step 3 – Spray low-foaming A-coil cleaner on the coils (below). Do this step only if it’s warm out and you can run the air conditioner for 30 minutes or more. Before spraying, put on gloves, goggles and a mask. Open all windows as the fumes may be strong. Mix the A-coil cleaner according to the instructions and pour into a garden sprayer. Spray the coils until saturated. 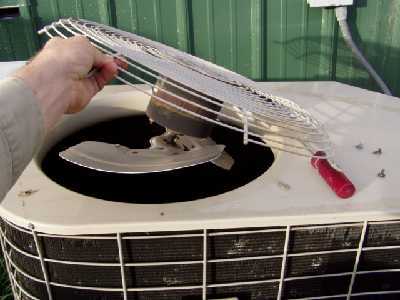 Step 4 – Put the cover back on and turn on the a/c as soon as possible. Let the a/c run for at least 20-30 minutes as the condensation must flush the cleaner from the coil. Do not flush the A-coils with water. If the coil cleaner isn’t removed right away, it may damage the coils. It may take several cycles to totally rinse the cleaner from the coils. After the first long cycle, normal cycles are fine. A note about coil cleaners. Some cleaners are designed only for the condenser coils, some are designed for the evaporator coils, and some are designed for both. The cleaners should be non-acid. 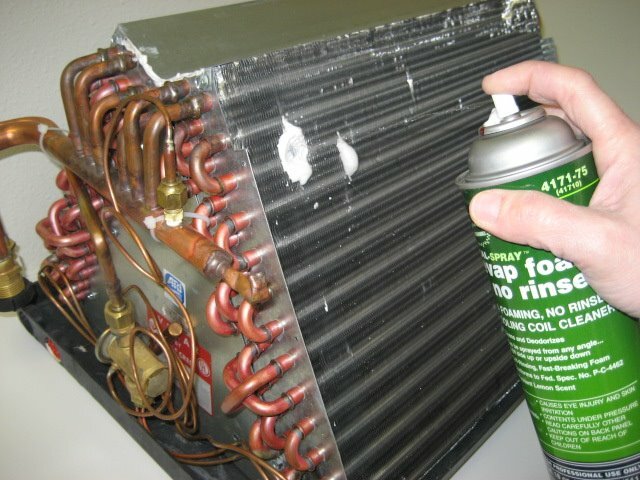 Again, use high foaming for the outside condenser, and low or non-foaming for the inside a-coil. Also, if the smell of the cleaner bothers you, mix a 50/50 solution of water and bleach and spray it on the coils as well. The bleach will eliminate most, if not all of the smell of the coil cleaner. Also pouring a 1/2 cup to 3/4 cup of the 50-50 solution in the drain pan will also help the smell, but is for the drain line and keeps it clean of bacteria, germs and odors. It also helps prevent clogs. 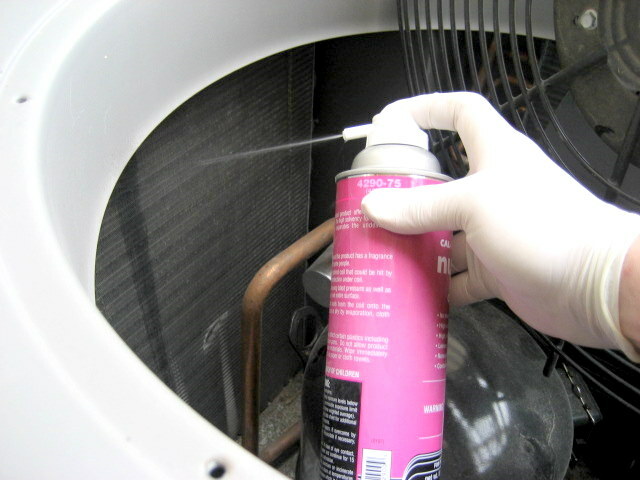 For the homeowner, there’s nothing simpler than using a foaming aerosol spray to clean your a-coil. In a nutshell, you spray and walk away. 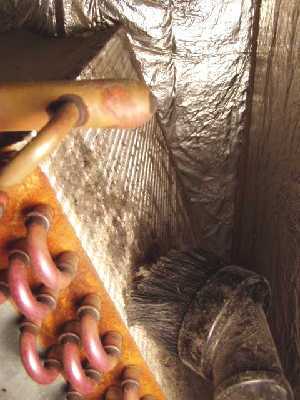 Then again, if your a-coil is really caked with dirt, you might first want to vacuum and such as previously described. Don’t overspray as you don’t want to create more foam than your drip pan can handle without spilling over. As the foam cleans, it does quickly break down. Unlike some mixed cleaners, most aerosols have a pleasant smell and won’t harm the coil. Aerosol cleaners are available HERE. If you have a more specific question or need further help, please post your question to our forum.